Legal challenge puts new casino in Sudbury on ice. The people of Greater Sudbury, Ontario have been promised a fantastic new community gathering space to be called the Kingsway Entertainment District. Funding for the project is coming from Gateway Casinos and Entertainment, estimated to cost $55.5 million. With Gateway at the helm, it would, of course, include a new gambling facility, to be called Starlight Casino Sudbury. Some love the idea. Some despise it. Even Sudbury City Council has shown mixed feeling for the concept. But that didn’t stop them from voting in favor of granting initial municipal approval for the project. And now, following a legal challenge from adverse parts of the community, even Gateway admits the new casino “may not be completed…at all”. On November 20, 2018, Gateway Casinos filed documentation with the U.S. Securities & Exchange Commission (SEC) regarding many of its Ontario gaming properties. Within that near-500-page document (found on page 12) is an assessment of Sudbury Downs Slots; the property Gateway gained in its $79,349,000 acquisition of Ontario’s Northern Gaming Bundle in December 2016, and the very one it plans to relocate in its construction of the Kingsway Entertainment District. The current Sudbury Downs Slots facility is attached to the Sudbury Downs racetrack in Chelmsford, 23km northwest of downtown Sudbury. Its 33,000sq.ft. gaming floor is home to 427 slot machines. 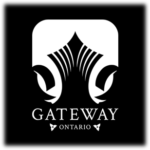 Gateway’s lease on the property is good through March 31, 2020—right about the time the company had hoped to complete construction and hold the grand opening of the new casino property on the Kingsway on Greater Sudbury. Now, it seems the whole process is guaranteed to be delayed. Whether the delay is short-term or long-term, temporary or permanent, is yet to be decided. If all goes according to best-case scenario, the first tribunal hearing should occur sometime next summer, with a ruling to come in September 2019, “at the earliest”. That’s an at-best assessment, though. Tribunal hearings are always subject to potential extensions, delays, and subsequent challenges. Gateway concludes in its risk factors for hopeful investors that a number of its Ontario casino properties –including the intended future home of Starlight Casino Sudbury—may suffer temporary, if not permanent, delays. If the new casino in Sudbury does come to fruition, on time or not, the gaming floor would be a bit smaller at 32,000sq.ft. However, it would contain a wider variety of gambling amusements, upping the slot machines to 600 and throwing in a selection of 21 table games. The property would also offer visitors a steakhouse, buffet and sports bar.